SANTA FE, Tex. — A male student was taken into custody on Friday morning after a shooting spree inside a high school in southeast Texas left at least eight people dead, the majority believed to be students, the authorities said. 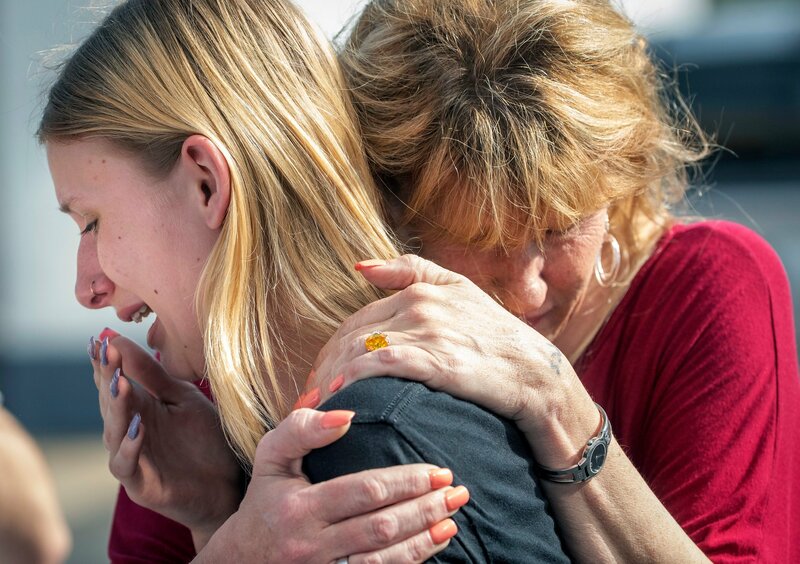 In what has become a national rite, the authorities arrived en masse at a campus, this time at Santa Fe High School, 35 miles from Houston, as students fled in tears. In addition to the suspect, the authorities said another student was detained as a person of interest. • The Santa Fe Independent School District said in a tweet that “explosive devices” had been found both on the campus and in surrounding areas. 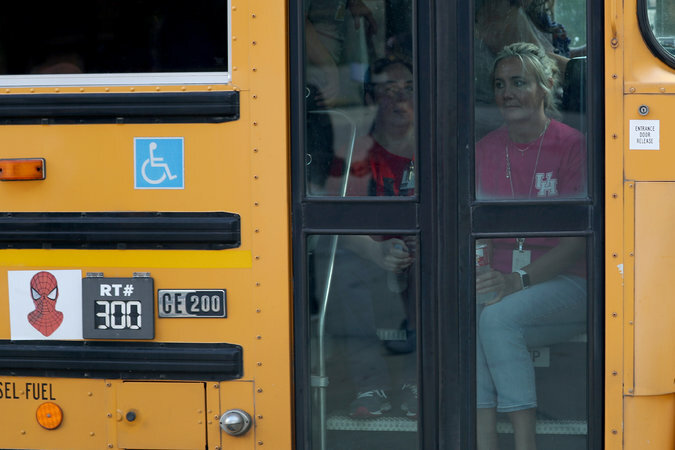 • The school district said the situation at the school, in Santa Fe, Tex., began at about 7:45 a.m. Friday, just after the start of the school day. • Sheriff Ed Gonzalez of Harris County said it appeared that “eight to 10” people had been killed, most of them students. None of the victims were immediately identified. • One of the injured was an officer working for the Santa Fe school district as a school resource officer, said Joe Giusti, a Galveston County commissioner. • A hospital in Galveston reported that it was treating three patients, including one student-aged and two adults. • Students and parents were reuniting at a nearby gym. The police were searching the high school’s campus. ‘I was thinking it was going to happen eventually, it’s been happening everywhere,’ one student said. 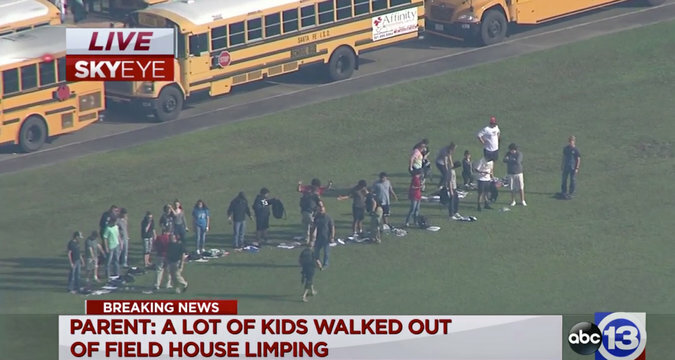 Students described a chaotic and terrifying morning in the halls of their school, with shots ringing out and students taking off running or finding hiding places, including a theater storage room. Paige Curry said she was in the theater room when she heard four or five shots ring out, although she was not initially sure what they were. “Then I started hearing screaming, so I got up and I ran and we hid backstage in the workshop,” Ms. Curry told KPRC, a local television station. Ms. Curry said she hid for about half an hour with other students. With so many mass shootings in the news, she said, she was not surprised one had happened at her school. Dakota Shrader, a sophomore, said she heard alarms go off and headed outside, and then heard three gunshots, The Houston Chronicle reported. Mr. Shrader said she took off running, and then had an asthma attack. “Every school shooting, kids getting killed, innocent kids getting killed,” she said. Leila Butler, a sophomore at the school, told ABC13, a local affiliate, that fire alarms at the school went off at about 7:45 a.m.
Another student told the station that a gunman entered her art class with what looked like a shotgun and began shooting at students. She said she saw a student get hit in the leg before she and others started running. The Santa Fe Police Department, Harris County Sheriff’s Office, Galveston County Sheriff and Bureau of Alcohol, Tobacco, Firearms and Explosives all said they were assisting in the response. There were three people being treated at the University of Texas Medical Branch in Galveston, said Dr. David Marshall, the chief nursing officer. He said one was an adult male, who had a gunshot wound to the arm. He was in critical condition with significant blood loss. The other adult is female, with a gunshot wound to the leg. The other patient was 16 and male, with a gunshot wound to the leg. He was not expected to need surgery. ‘In this little town, you wouldn’t think something like this could happen,’ said a neighbor. Several hours after the shooting in Santa Fe, a rural town between Houston and Galveston, police cars blocked the road off the state highway where the town’s only high school is located. The school’s buses filed out along a nearby street, empty but for their drivers. Earlier in the morning, Billie Scheumack, 68, was in her backyard when she heard what sounded like a couple of firecrackers. There she saw kids from the high school running, scared and clutching their phones, down her street, Tower Road, about a block from the school. A neighbor told her that some children had been shot. “In this little town, you wouldn’t think something like this could happen,” Ms. Scheumack said. President Trump expressed heartbreak and frustration about the shooting. Mr. Trump said his administration would do “everything in our power” to keep guns away from those who should not have them. “This has been going on for too long in our country — too many years, too many decades now,” Mr. Trump said in the East Room of the White House, where he was making remarks on prison reform. “My administration is determined to do everything in our power to protect our students, secure our schools, and do everything we can to keep weapons out of the hands of those who pose a threat to themselves and to others,” he said. Mr. Trump’s comments came months after he vowed to take action on school safety and gun restrictions in the wake of a shooting at Marjory Stoneman Douglas High School in Parkland, Fla., in February, where 17 were killed. At the time, the president, a member of the National Rifle Association who has strong political support from gun owners, said he would look at stricter background checks and raising the minimum age for buying an assault weapon, proposals that the group opposes. He also pressed for an N.R.A.-backed proposal to arm teachers, and said he would favor taking guns away from potentially dangerous people without due process. But Mr. Trump did not press for action on any of those initiatives, and Congress did not follow through. Mr. Giusti, who represents an area that includes Santa Fe, said that the school district completed active shooter training at its schools last summer. He said that the district had additional training after the Parkland shooting. 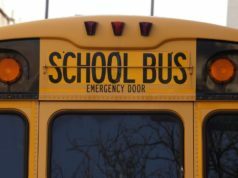 After Parkland, the school received several threats that the district investigated and found not to be credible. A teacher also thought she heard a gunshot near the campus during school not long after Parkland. But Mr. Giusti said there was no indication that those episodes were related to the shooting on Friday. Roxanna Asgarian reported from Santa Fe, Tex., Alan Blinder from Atlanta and Niraj Chokshi from New York. Manny Fernandez contributed reporting from Houston, Matthew Haag from New York and Julie Hirschfeld Davis from Washington.